GTOptions does its utmost to make binary options trading as easy and accessible as possible. To that end, we have created the GT Options Getting Started guide to familiarize you with all trading features available in our platform. By using this comprehensive guide, you will understand the whole trading process. From account registration, making a deposit to the trading platform itself, everything is discussed for your convenience. When you open an account with GTOptions, it can be completed in a jiffy. Just complete the registration form with your personal and account information and your account will be established in a matter of seconds. In addition, you will be asked to choose your currency. Note that once you select a specific currency, it cannot be changed. Please make sure that you’re above 18 years of age and you accept the Legal Terms and Conditions stated in our website. When you’re done with your account, you may now proceed to the next step. 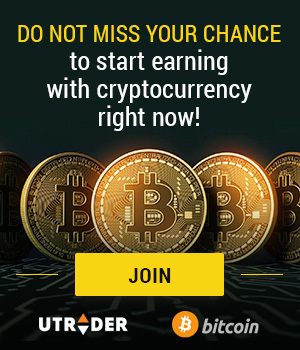 Click here to sign up with GTOptions now! In order to start trading, you are required to make a minimum deposit of $/£/€250. Choose the method that works best for you. You may deposit funds through credit cards, wire transfer or Moneybookers. Deposits can be made in US Dollars, British Pound, Japanese Yen, Swiss Franc or Euro. After successfully creating an account and making your initial deposit, you are now ready to trade! Here you will find a selection of trading instruments, a diverse selection of assets and our extensive education center. When choosing an option, a new trade box will open. Here you will find the in-depth details about the option you’re interested in buying. It details the asset you chose to trade, the asset’s target price, the market price of the chosen asset, the graph which displays the movement of the asset’s price, return, option’s expiry time and the hourglass countdown. There are four types of trading instruments available in our platform. These are the High/Low, One Touch, Boundary and Short-term instruments. When buying an option, you should choose your desired trading instrument and pick an option that you would like to purchase. Afterwards, predict which direction your option is going to move, whether it’s going up or down. Next, type in the amount you wish to invest and click “Buy.” After completing the process, a confirmation will appear onscreen, telling you that the transaction has been completed. Watch as your trade moves closer to its expiry time. If it’s successful, you will be in-the-money and you will receive the payout. Otherwise, your trade becomes unsuccessful and you will receive a portion of your initial investment. This is how easy trading with GTOptions is.